Death by Powerpoint… we have heard this comment so many times and yet not much changes …many presenters continue to rely on powerpoint presentations. They do have their place, however sitting through a whole day of powerpoints is tiring and I don’t believe a very effective way to learn. They work in a “telling” relationship such as a conference presentation where you are presenting facts or data. In a facilitated workshop using adult learning principles where ideas are drawn from the group there are other effective ways to discuss information and facts. When I reflect on the conferences I have attended over the years the presenters I remember are often the ones who didn’t use a powerpoint and were able to get their message across in a simple effective way using tools like flip charts and drawing on the audience. Flip charts – plan your presentation and use the flip charts to get your message across as you go. I personally prefer to use flip charts rather than a whiteboard as the sheets can be put up around the room and referred to as required (Once the whiteboard has been cleaned the information is lost). Participants have told me they like the sheets to be put up in order so they can reflect back on the discussion and draw on the previous information as needed. If you are not confident enough to draw them up as you go pre-prepare the flip charts – think about the material you would use on your powerpoint and develop some flip charts with some of the information on them prior to the workshop. Use the group to build the remaining information through an inclusive discussion process. The participants will have ownership in the discussion and are more likely to leave the workshop remembering the concepts you were aiming to impart. If you are presenting the same information over and over, how about having some posters made up with critical information or models, these can be put up around the room and referred to as required. Use a combination of flip charts and powerpoint – only using the powerpoint for essential visual information such as graphs or diagrams. Remember the “B” for blank button which turns off the powerpoint so the focus can be on the facilitator or others in the room when required. Find some you-tube clips that deliver your message in a few minutes and then discuss the material with the group – capture their ideas on a flip chart. I’d be keen to hear others ideas about powerpoint and what could be done instead. If you would like to follow my blog enter your email address in the space on the right hand side, you will be send a confirmation email and you must click on confirm before you are added to the email list. This blog includes a few reflections on returning from a wonderful trip facilitating workshops with rural women in NZ. While in NZ I was asked about the differences between rural women in NZ and Australia …mmm …not a lot would now be my answer. Many women on farms fall in love with a man and find themselves married to a man, a farm and his family. They often find themselves in positions of farm administration, book-keeping, marketing and being the farm Gofer – not necessarily using their training, skills or their strengths. Sometimes doing tasks they do not enjoy. A recognition of what these women do bring to the business and community will raise happiness, increase business success and, I’m sure, improve marriages. There is enormous value in bringing like-minded women together to share experiences and provide them with the opportunity to talk about their businesses. Women have often told me that facilitated sessions for rural women provide a unique chance for them to focus on themselves and their businesses. Women enjoy the opportunity to build their skills in a safe supportive environment – both business and technical skills – before they will feel safe to integrate into the mainstream agricultural sector. Over the years many male deliverers have commented to me about the though provoking questions they receive from a women’s group. The same women will tell me they wouldn’t ask those questions in front of males because they perceive their knowledge of agriculture to be less than the men. Programs like First Steps, developed by the Agri Womens Development Trust, provides a valuable time for women to focus on themselves as individuals and put aside the “roles” or “hats” as wife, mother, daughter, farm worker etc and develop personal plans for their future and their role in their farming business. Many farm businesses do not include training or professional development in their budgets – this is an important shift that we can make. I strongly believe investment in training our rural women will ensure vibrant rural communities, family businesses as well as environmental sustainability. NZ rural women with wow! It’s great to leave a workshop with that feeling the two days has made a real difference to people’s lives. That’s the Wow for me! 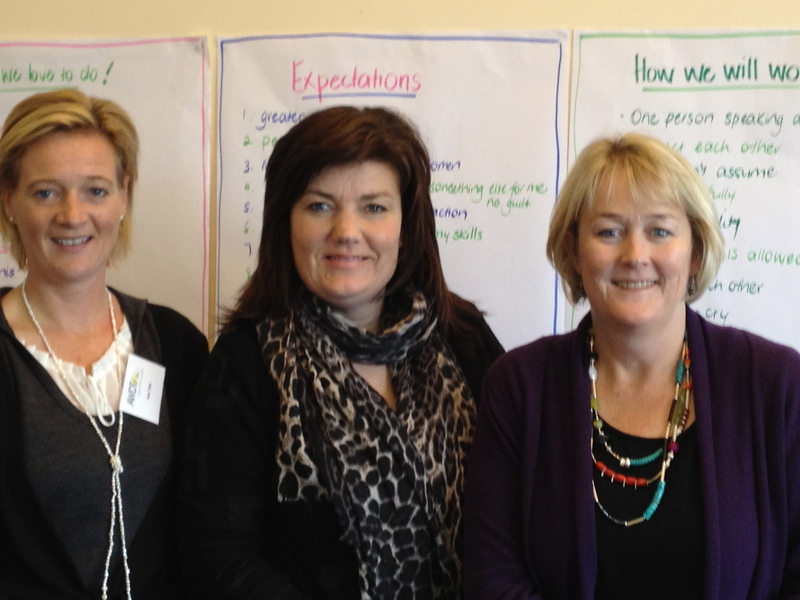 The First Steps,workshop in Masterton NZ did just this. Observing the changes in body posture, the light in peoples eyes, the goals that were set and shared, the “Ahah” moments and the closing comments delivered with passion……left me feeling Wow! This fabulous workshop has been designed utilising the detailed research carried out by Lindy Nelson of the Agri-Womens Development Trust in New Zealand. Lindy teamed with a psychologist to develop the program and a pilot program was facilitated in 2011. I feel very fortunate that Lindy trusts me to facilitate the first national role out of her program. 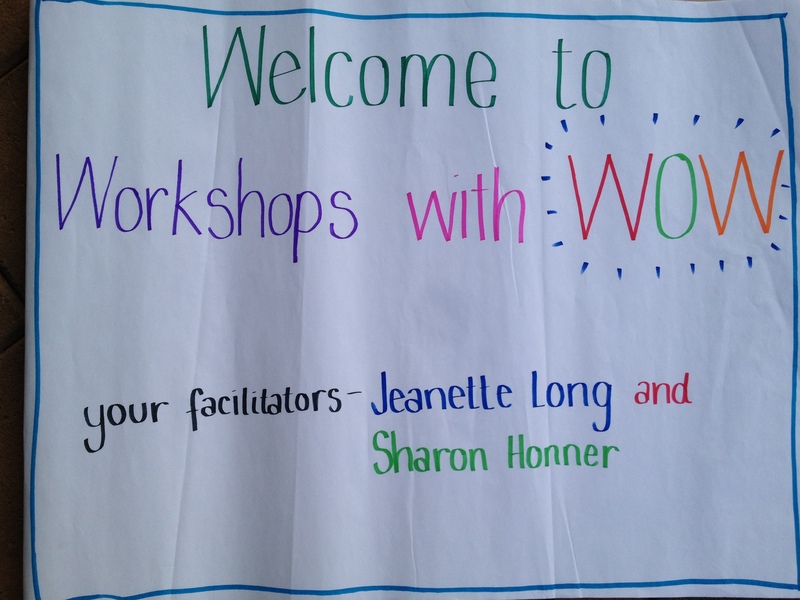 The workshop provides women with an opportunity to focus on themselves and their own development for the two days. They explore their values, passions, skills and strengths. Transferable skills are determined – recognising all of those wonderful skills women have developed in their many volunteer capacities; kindy committees, playgroup, school groups, community events, as well as in their farming businesses; doing the book-work, farm work, marketing and so on… these are all very real skills that are transferable into new ventures,the workplace or industry leadership roles. The women spend time reviewing the constraints they face with particular reference to the constraints Lindy identified in her research. Options to manage and minimise these are discussed and documented. Everyone leaves the workshop with goals set and an action plan developed ready to take their next step. 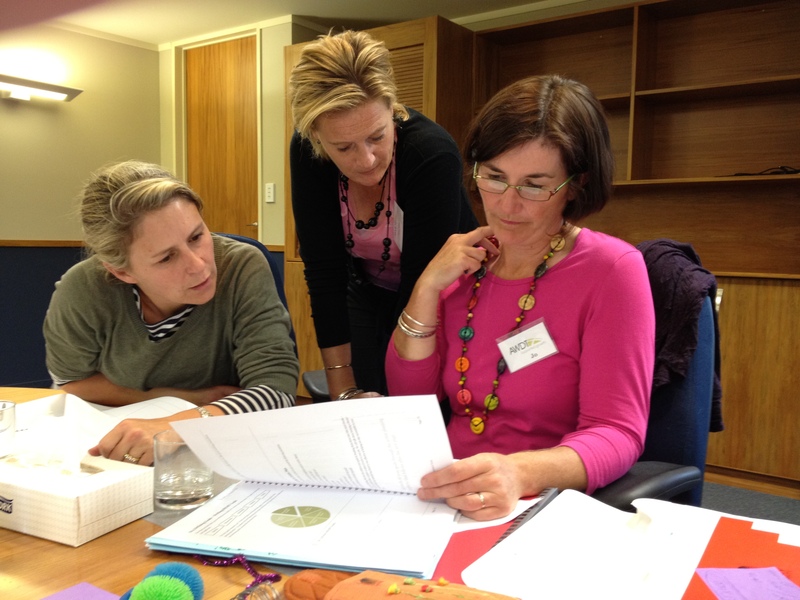 I am looking forward to working with more wonderful NZ agri-women over the next week as we roll First Steps workshops at Taihape and Asburton. I love working with rural women. They are a generous audience who appreciate what you do for them, particularly if you work with them to determine their unique needs. As a rural woman myself I have been fortunate to work with many groups of women for many years. I am particularly excited to be heading off to New Zealand on Sunday to work with the Agri-Womens Development Trust facilitating their “First Steps” program. This program is a two day exploratory workshop for rural women who have developed skills/strengths within the context of their rural communities, family and farming lives, who are now contemplating making changes to their lives, and taking their skills to a new level. These women are often the backbone of their communities, involved in organising, fund-raising and are usually self-starters. New Zealand is fortunate to have Lindy Nelson – a self starter! – who has developed the Trust. More information can be found on the website http://www.awdt.org.nz. The Partners in Grain project has also provided me with a unique opportunity to pursue my passion of facilitating women and young people in the Grains industry. This project is funded by GRDC has been successfully operating in Australia for 10 years providing regional training opportunities. Research local events, school events etc – don’t expect women to turn up if the local school has sports day! Run the workshop from 9.30-3.00 allow women time to get the children off to school and pick them up afterwards. Ask the group what they would like to learn and adjust the workshop to meet their immediate needs. Check about catering, tea and coffee. Support the locals and ask for local catering – choose a local group that’s important to your audience. Check what’s available at the venue and what you need to bring – country venues may also need setting up so allow plenty of time. Due to distance it isn’t always possible to see the venue prior to the workshop so ask lots of questions. Run through a check list about – lighting, heating/cooling, floor covering (acoustics) size etc. Talk to your local champion about promotion of the event. What is the most effective communication mechanism for that district – school newsletter, community newsletter etc. Having a flexible approach and being baby friendly provides an opportunity for more women to attend your training event. Finally – always finish on time – school pickups are important! If you would like to follow my blog enter your email address in the box on the top right hand side of the page. You will be send a confirmation email and need to click on the link to receive my weekly blog via email.